aim is to give you all the advice and information to help your money grow. Handing over your hard-earned cash to other people to invest for you can be a daunting thought. You might think it’s safer in the bank and earn interest on it. Is that really the best way of making sure your money works as hard as it can for you? Every investment is a way of storing your money now, in the hope that it will grow in value over a period of time. As you may know, there are always risks involved. You want your money to go up in value, but there’s always a risk that it could go down too. That’s why it’s important to get investment advice. There are thousands of investment opportunities on the market, and each one has different features, benefits and risks involved. It’s important to invest your money wisely and making your investments and savings as tax efficient as possible. With help from Brewster Financial Services we can help you decide which levels of risk you feel comfortable with, and which types of investments could fit into your personal finance plans. 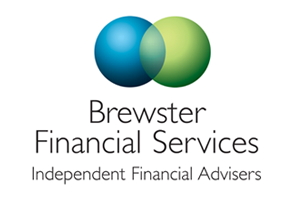 Brewster Financial Services is directly authorised and regulated by the Financial Conduct Authority. FCA number 484860.